So I failed at 31 posts. Maybe 12 leading up to Christmas? Let’s try. One of my favorite Christmas things is finding all of my gifts Christmas morning labeled from Santa. Gifts are shared Christmas Eve from my brother and me to everyone and from my uncle. Then on Christmas morning we open gifts from Santa. I’ve never understood why my parents never have given my brother and me any gifts, though?? 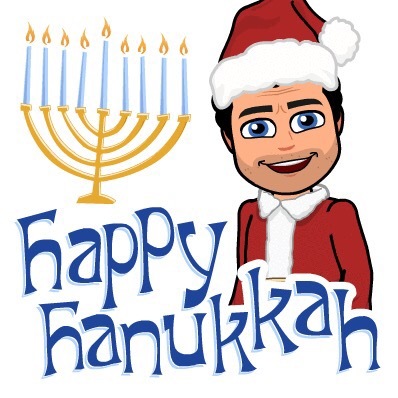 Happy eighth and final night of Hanukkah! This entry was posted in Uncategorized on December 14, 2015 by Bobby Cherry.